Hey snow lovers! 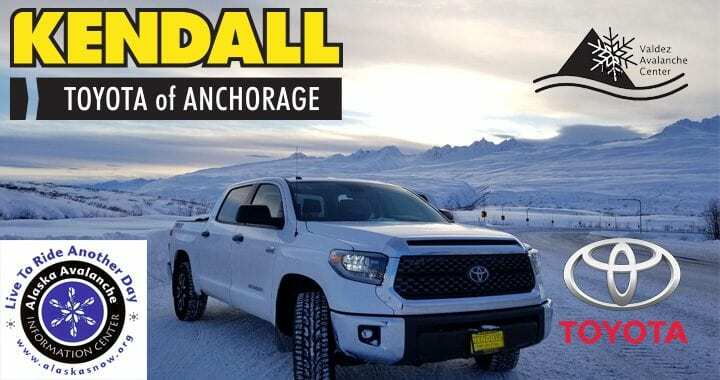 The Alaska Avalanche Information Center here with your weekly snow report thanks to Kendall Toyota and Q997. Temperatures have warmed this week and are expected to remain moderate as a quick moving system passes through the state with the potential to bring more snow by this weekend. Winter trails on the Parks Highway from Nancy Lake north to Petersville and Cantwell, and north on the Glenn Highway around Eureka and Lake Louise are open and groomed regularly. The Snow pack throughout the state has gained strength this week. There are many reports of good conditions from Hatcher Pass, Turnagain Arm and the Thompson Pass areas. Join the Hatcher Pass Avalanche Center and partners on Saturday, January 19th at 11 am for a free two-hour workshop. Great for families, snowmachiners, skiers, sledders and anyone who just loves to hike in the snow. Always check the latest forecast at Alaska snow dot org before you go into the mountains.